Google is holding a sweepstakes called the 10 Days in Google Books Game. For every day of the contest, Google will choose 3 winners to receive Sony Readers. In order to play, you need to first answer 5 simple trivia questions and then write a 50 word essay about eReaders. 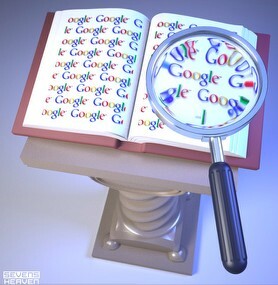 The contest seems to be Google’s attempt to advertise their eBook offering. Right now, Google Books can hardly be considered a hot spot of activity. Giving out Google Books compatible Sony Readers is one way to get people interested. Also, the trivia questions involved are too simple to actually create a challenge, but they do showcase the capabilities of Google’s book archive. Every answer can be found by clicking a link to some online book or using Google’s book search capabilities. You are allowed to enter once a day. Winners will be announced in 2-3 months.